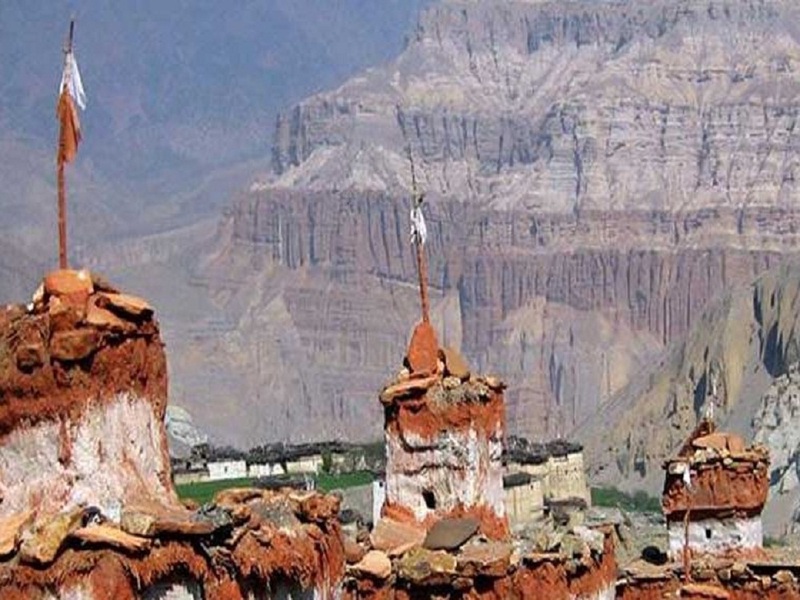 The landscape of Mustang is a barren moonscape of eroded sandstone pillars and discontinuous moraine terraces, which together present a colorful mosaic made up principally of earthen reds, yellows and brown. 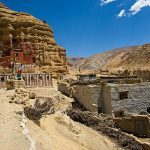 It is relatively easy trekking along the permitted route to Lo Manthang, which lies in the very heart of Mustang. The trek to Mustang is through an almost tree-less barren landscape. Strong winds generally howl across the area in the afternoon, generally subsiding at night. 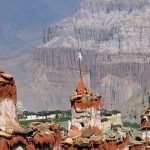 Being in the rain shadow of the Himalaya, Mustang has much less rain than the rest of Nepal. Mustang trek lying in the rain shadow of the Himalayas is perhaps the last enclave of pristine Tibetan culture. Forbidden & isolated from the rest of the World it was able to evolve its own distinctive culture and tradition which is so rich & unique. Lo-Mustang, the capital is walled city ruled by a religious king. 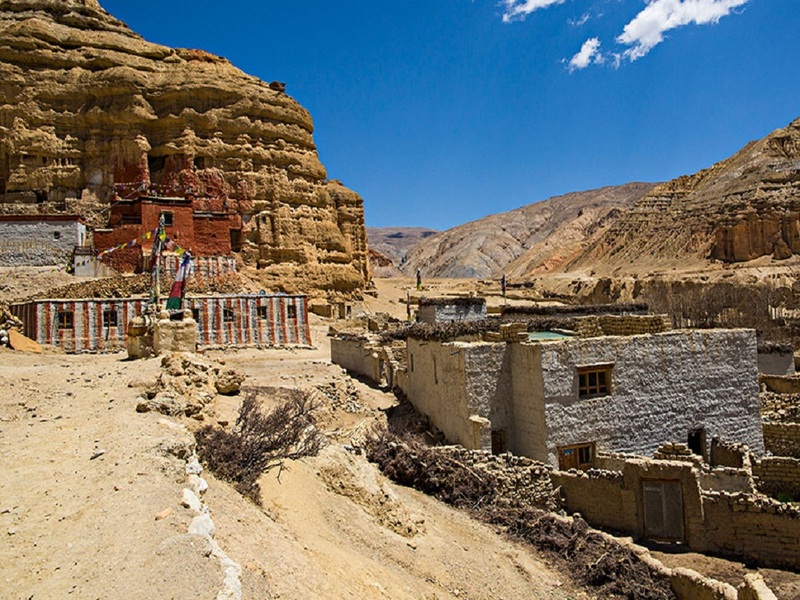 Untouched by modern civilization, life in Mustang goes on as it has for centuries in an unhurried pace. 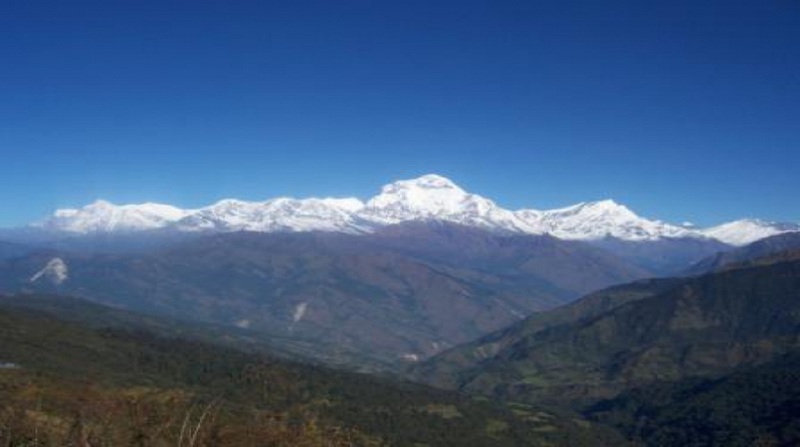 As everywhere in the Himalayas, this area provides spectacular mountain scenery highlighted by Dhaulagiri at 8167 meters (26,795ft) and Annapurna I at 8091 meters (26,545ft). You will be surrounded by more than 35 mountains over 6000 meters (19,680ft) high. The elevation of the trails rises from 2815 meters (9,233ft) to 3780 meters (12,398ft) above sea level. Day 04: Fly to Jomsom & trek to Kagbeni [2780m]. Day 05: Trek to Chhuksang [2920m]. Day 06: Trek to Samar [3290m]. Day 07: Trek to Geling [3440m]. Day 08: Trek to Ghami [3460m]. Day 09: Trek to Charang [3490m]. Day 10: Trek to Lo Manthang [3730m]. Day 11: Around Lo Manthang. Day 12: Trek to Lo Gekar. Day 13: Trek to Ghami [3460m]. Day 14: Trek to Chhuksang [2920m]. Day 15: Trek to Jomsom [2710m]. Day 16: Flight to Kathmandu via Pokhara.